The Google Adsense a big name in online revenue system. It’s a dream of every online money makers that someday they can manage a grand lifestyle using their AdSense revenue. Well, it’s another matter that all the dream might not come true! But, people definitely can reach closer if they give full effort on working and get a bit of favour of luck. Although the AdSense is the world’s best online revenue system for the web publishers still, it has some very strict terms and conditions which causes million of AdSense account disable every year around the world. Unlike others, AdSense team may disable an account for a little mistake (Of course you will get an email notification for that). It is probably for the safety of their advertisers. So, basically you can’t be fearless when you’re working with the Google Adsense. It doesn’t matter your account is old or new. On the other hand, it’s also true that there are a lot of publishers who still earning huge amount of money from Adsense without any issue. Many people out there are criticising Adsense that it ban publishers for, almost without any reason. But, it’s not true! Adsense never ban any publisher without any reason, if so, then it’s definitely not be the world’s top monetising system till now. You probably know that Adsense is the main income source of thousands of people around the world. And, they make quite a huge money from it every month. 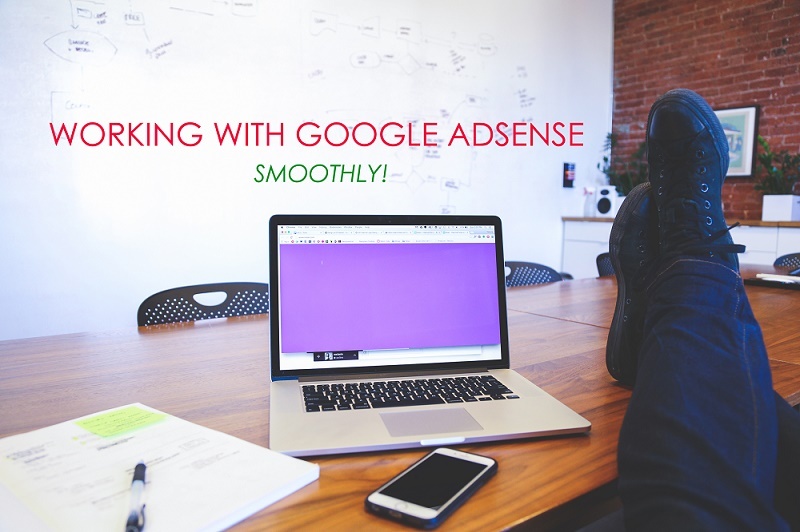 Adsense team just wants to keep their advertisers safe from any kind of unusual activities such as self-clicking, traffic exchange, etc. It’s the main policy of Adsense. So, as an Adsense user, you also need to make sure, that you’re giving respect to the ads displaying on your site. So, basically if you’re loyal to the advertisers the Adsense team will also be loyal to you. New Adsense users are always in a hurry to make money! So, they experiment too much with ad implementation and site designing to highlight the ads. But, it’s not the actual way. You need to understand your site and its designing first. Then you need to find out what position and what type of ad units are working best for you. But, you should not cross the Google Adsense ad placement guideline. Nobody knows AdSense better than Adsense itself. So, no one will give a better demonstration of your problems except Adsense. You will get thousands of solutions of a particular problem in different formats such as blog posts, forum posts and YouTube videos. But, you should only follow what Adsense team recommend. Your problems might be unique so, you need unique solutions which only AdSense team can provide to you. Adsense also investigates your site traffic source deeply that they can supply relevant ads! Many people have a misconception about Google’s recommendation about website traffic! Google has never meant that only organic traffic is good and all other traffic such as referral and social are bad. Actually Google only recommend relevant traffic coming in natural ways. For instance- generating traffic to your blog by commenting on same topic blog will count as a natural traffic way to generate traffic. But, if you are generating random traffic by commenting on random blogs and forums then Google might ban your Adsense account as your traffic are not relevant to your site. Here is no place for duplicity! You and your content must be original in order to make your Adsense road smooth. Google clearly said in Adsense program policies that, publishers should not implement Adsense code on pages which have copyright materials including copyright files. So, if your content consists copyright materials then you should forget Adsense. Adsense respect, honesty! Be honest with your content, everything will be easy for you automatically. « How To Create AdSense Targeted Blog Post With 3 Simple Steps	» Stealing Content Might Be a Good Idea For The Google SERPs Purposes?